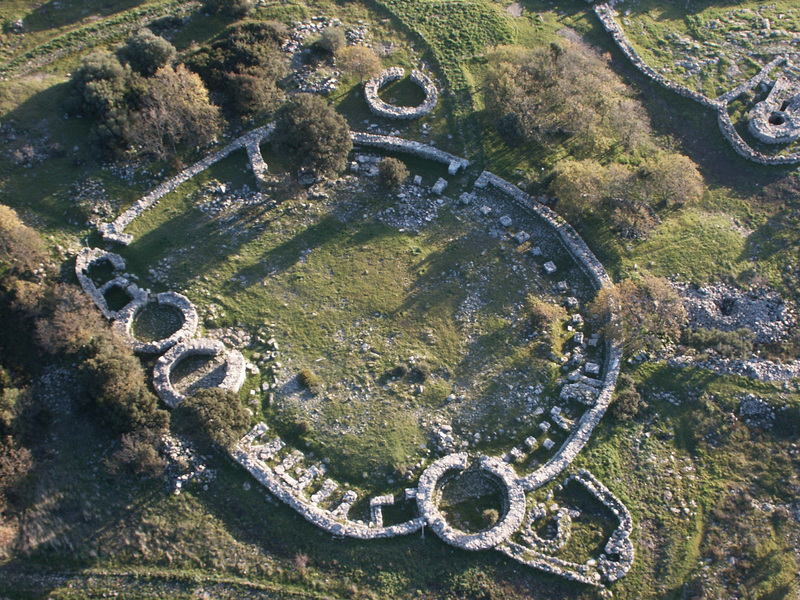 Protected by a precipice to the south and a rocky wall to the north, the sanctuary of Santa Vittoria stretches for three hectares, among various relics from the past, in the Giara di Serri. 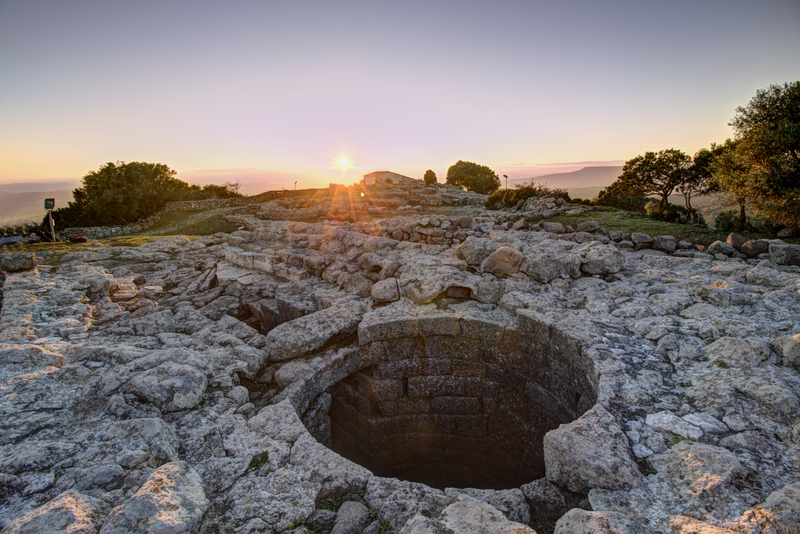 It is an evocative place where you will observe the evolution of the Nuragic civilization in the Bronze Age and until the beginning of the Iron Age, from the corridor nuraghe (1500 BC), followed by the 'classic' nuraghe (14th to 12th centuries BC), until the area became (11th-9th centuries BC) the symbol of cultural religiosity and a cultural and commercial crossroads of all the Sardinian peoples and not only: Etruscan, Phoenicial and Cypriot objects, found in the excavations, are confirmation of exchanges that took place with distant peoples. Four groups of buildings can be identified. 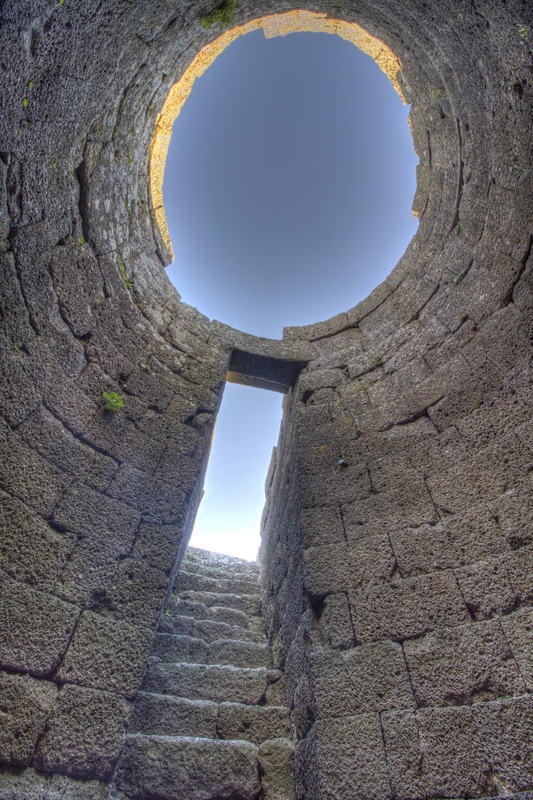 The first is the sacred area, consisting of the shaft temple dedicated to the water cult: it is the main building with carefully finished basalt blocks. A paved entrance hall, with a counter-seat and altar, and a flight of steps leading to the well. Nearby, there is the 'hypaethral' temple with two altars, that could be reached via a 'sacred way'. From here, a passage will lead you to the 'priest's hut', while, in the north you will find that 'of the chief' with an atrium, seats and a room. Another architectural nucleus is the 'celebrations enclosure', a social-commercial area, for celebrations, business and a place for 'strangers' to stay, where you will recognize porticoes, rooms with benches and seats, a collective kitchen, a 'smelters enclosure' and 'the market', or nine rooms with seats and slabs for wares. A third group of buildings consists of the huts, among which that 'of the double baetylus' - from the sacred artefact found inside - and of the houses of the 'fireplace' and of the 'guardian'. 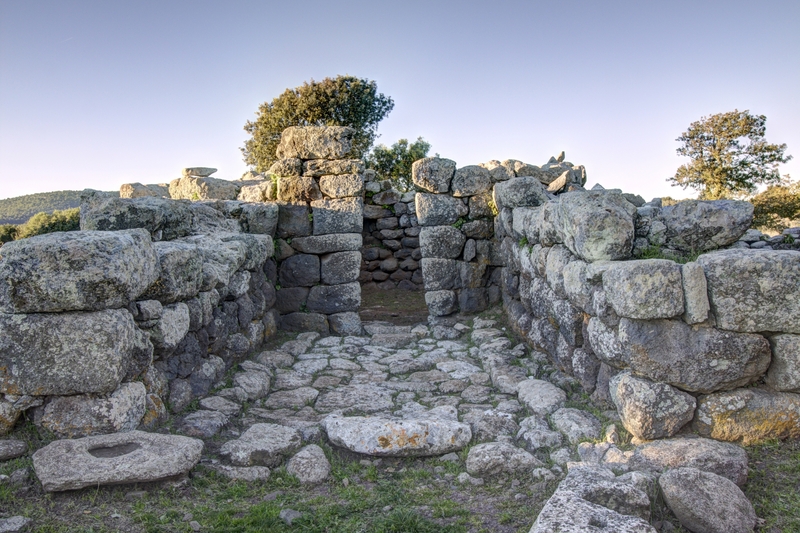 Lastly, you will find a fourth complex, in which the 'enclosure of the tortures' and the 'Curia' with approximately 50 seats: here, it is possible that the heads of the various Nuragic peoples of central Sardinia gathered in a federal assembly. 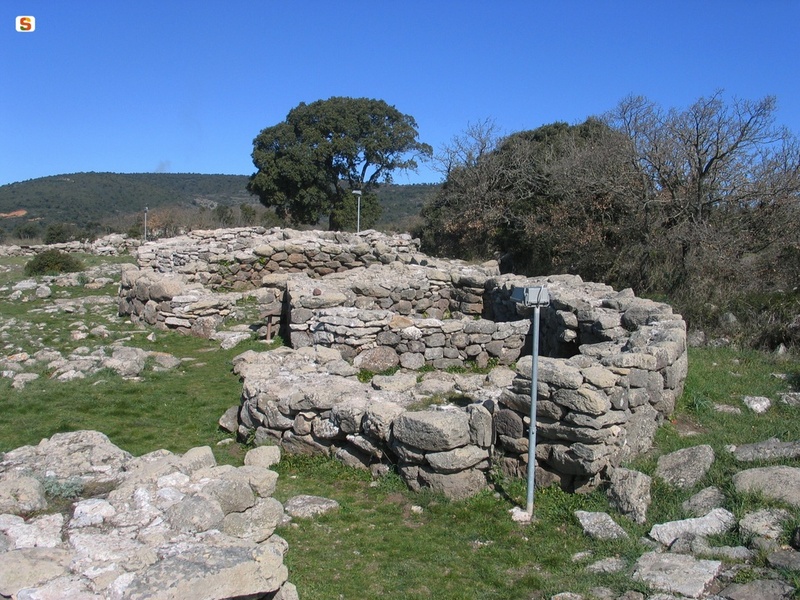 The excavations unearthed artefacts made by the Nuragic artisans: models of nuraghi-altars, taurine protomes, fragments of arms, bracelets, rings, axes, ceramic objects and, above all, bronze statuettes (votive offerings) with human and animal forms and means of transport. The 'federal' sanctuary was also in use in the Punic-Roman era. The sacredness continued on into the Byzantine era: the Church of Santa Maria della Vittoria was built and it was later rebuilt in the 11th-12th century: this is the Christian sanctuary that gave a name to the archaeological area.